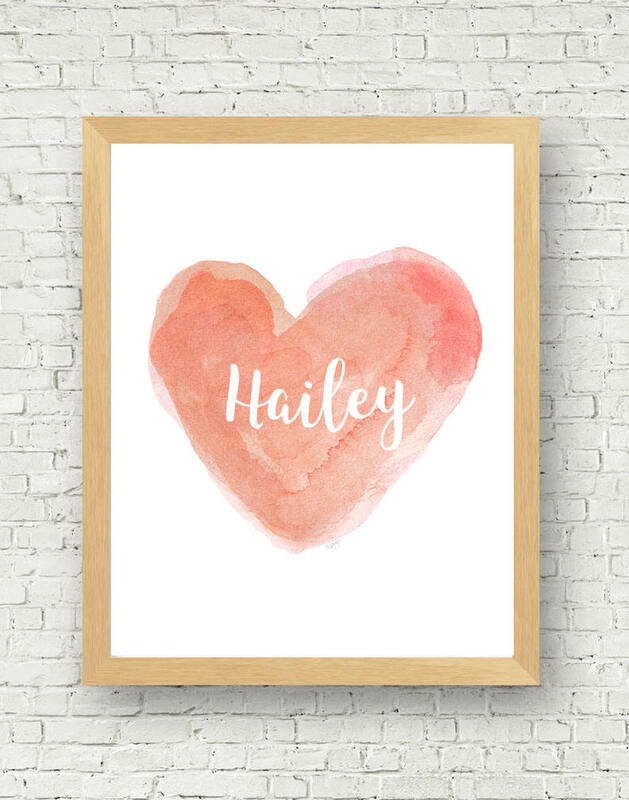 Customize this pretty coral watercolor heart print with your special name. 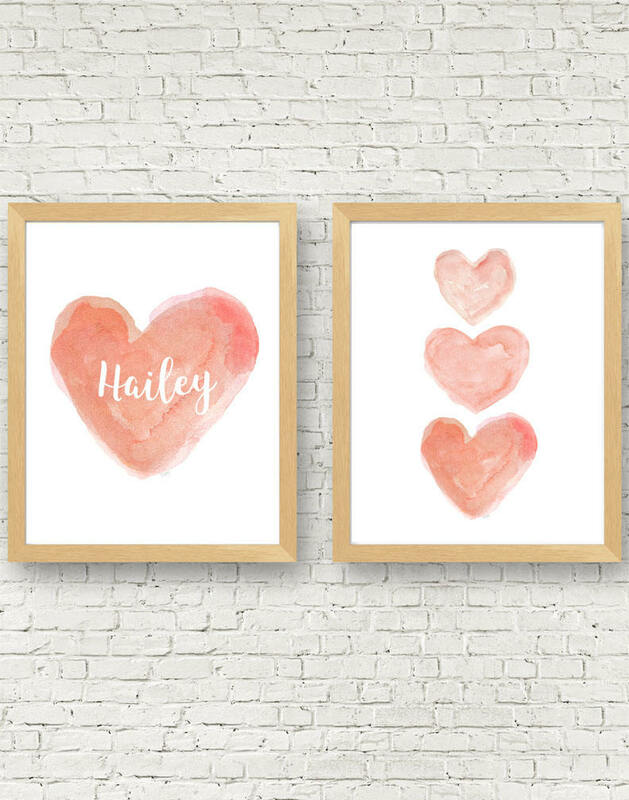 This is a set of two 11x14 coordinating prints created from my original watercolor paintings. 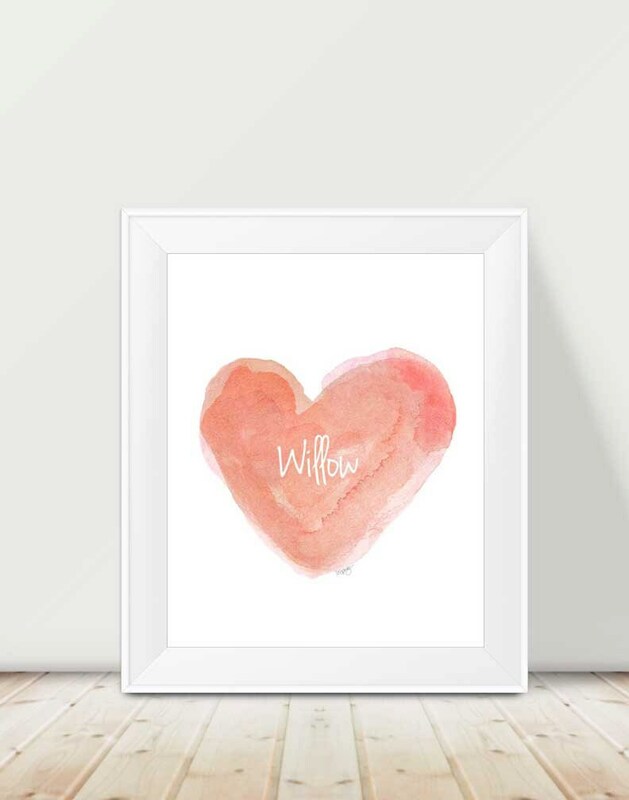 Lovely for a shower gift and to welcome a new baby into the world. Please include the name in notes to seller at checkout. Fits perfectly in a standard 11x14 frames. 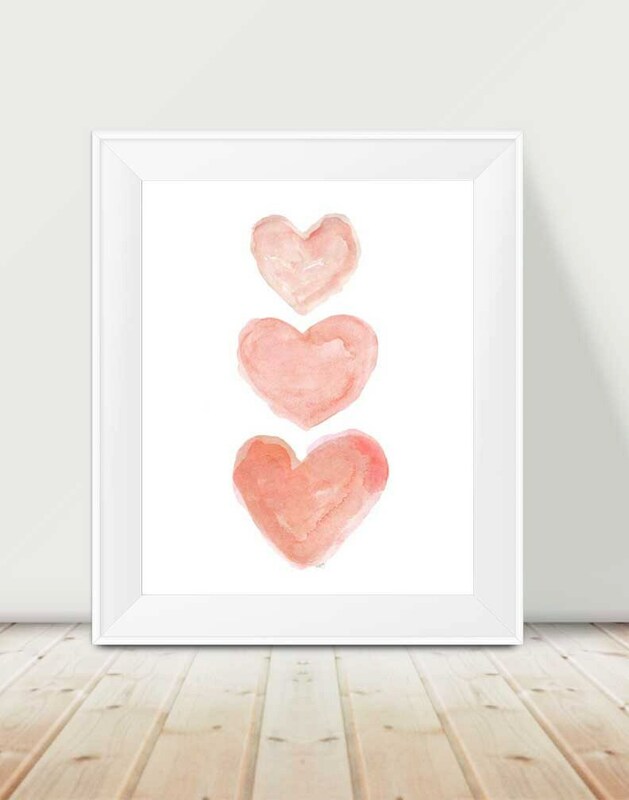 Beautiful prints and were delivered quickly! 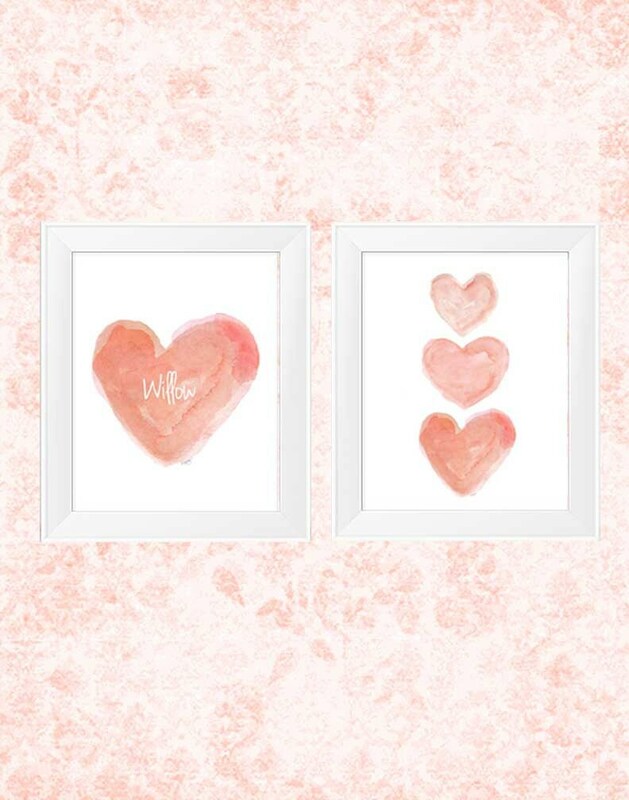 Are just as pictured and are perfect for my daughter's nursery! These are beautiful!! Not only is the image beautiful but they are printed on high quality paper and the colors are perfect and vibrant. 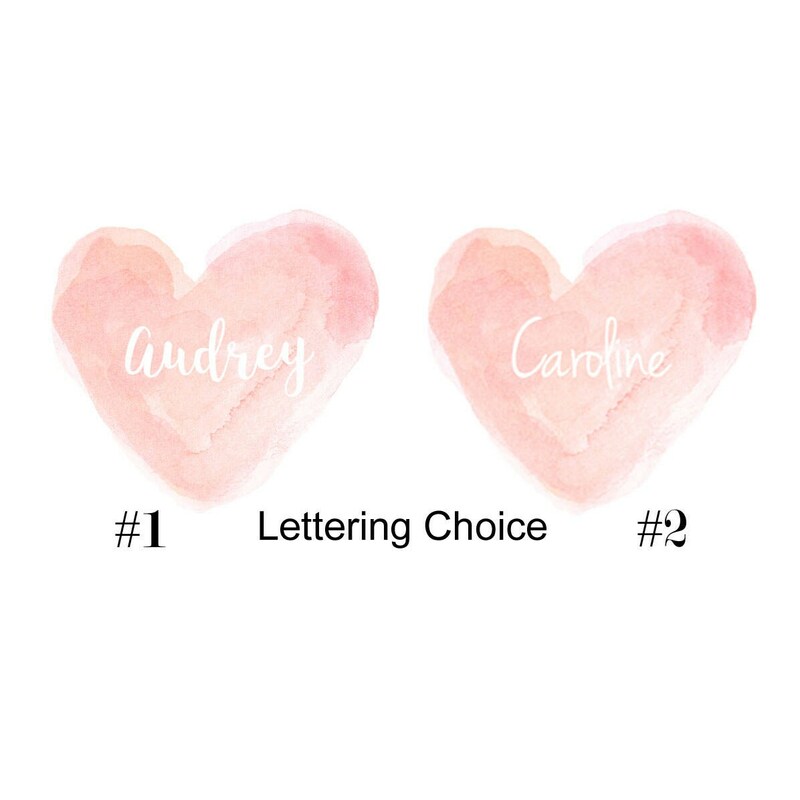 Michele worked with me to add my daughters middle name as well and they turned out amazingly! Very very happy...thank you!